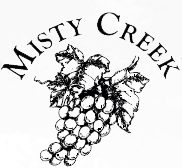 Misty Creek is a family-owned and operated vineyard established in 2001 by the Nichols family. We currently offer 10 wines to tempt your taste buds, including 3 yummy fruit wines and currently producing Chardonnay, Merlot and Chambourcin with a Cabernet Sauvignon-Syrah blend, a Syrah, Traminette, and a Sweet Rose. 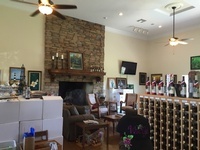 Tastings are $10 to taste all our wines and include a souvenir glass. We're open Friday afternoons, all day Saturday and Sunday after church. We have special events on most Saturdays We are family and dog friendly. Bring your picnic and come on in! Contact the winery for further information about tours.